Summer days spent at the beach. What could be better. Here are some of our favorite things to do on 30A to make the most memorable beach memories. From our white sugar sand beaches with crystal clear Emerald waters, the development and preservation of South Walton brings in multitudes of visitors every year. In addition to the appeal of our world-renowned planned communities, we treasure our State-protected parks, five-star restaurants and hotels, rare coastal dune lakes, and charming boutiques. Locals and tourists have a wide array to take in along our coast. Read on for a handful of our top summertime activities! In June 2018, the first ever Underwater Museum of Art in the entire United States opened up in our beautiful Emerald waters just less than a mile from the beaches. I had the incredible experience of attending the installation and witnessing the art deployment up close from a yacht hosted by The Cultural Arts Alliance. The museum rests on the seafloor about 55-feet from the surface. There are seven unique sculptures, all created by local and nationally acclaimed artists who were chosen by the Cultural Arts Alliance of Walton County. The UMA site for SCUBA diving truly is one of the most unique places in the world. 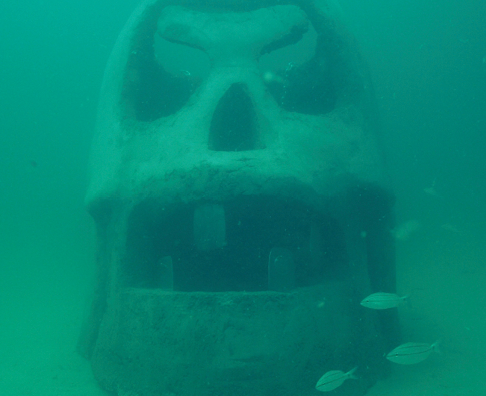 The sculptures were designed and chosen with ocean suitability as marine habitat in mind. Coastal Dune Lakes are a very rare natural phenomena that only occur in a handful of locations around the globe, including New Zealand, Australia, Madagascar and South Walton, Florida. We are truly blessed for our beach road of Scenic 30A to be lined with coastal dune lakes that naturally outflow into the Gulf throughout the year. In fact, my family lives on one of these rare beauties: Camp Creek Lake. We enjoy paddling and kayaking right into the Gulf. For some visitor’s, a paddle tour along one of our dune lakes is said to be a once-in-a-lifetime experience, as it is the only area in existence in the United States. These very rare lakes share a uniqueness as their mostly fresh water contents sit within just a few feet from the salt water shores of the Gulf of Mexico, separated only by a natural berm of sand. 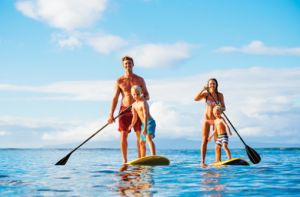 These lakes are the most ideal location to practice paddle boarding as its calm warm fresh water is welcoming to beginner and expert paddleboarders. From the charming community of Seaside, food connoisseurs come from all over to experience the Airstream Row. There are a slew of excellent and casual food trucks to choose from, if you’re looking for a quick bite to eat or to take to the beach. These cute airstream eateries include Barefoot BBQ, Frost Bites, The Melt Down on 30A, Wild Bill’s Beach Dogs, and Crêpes du Soleil. Proprietors are notorious for keeping it simple in this tiny town square. Walk up in your swimsuit and flip flops and experience what beach dining is all about! When it comes to gourmet food trucks, Seaside has gone retro and the crowds attest to how much we love this laid-back way of eating. As Point Washington State Forest was purchased under Florida’s Conservation and Recreation Lands program in 1992, this park is managed for timber, wildlife, ecological restoration, and, of course, outdoor recreation. Point Washington State Park is just one of several state parks in our area. In terms of recreations, the forest is mainly used for off-road bicycling and hiking adventures but also offers horseback riding. 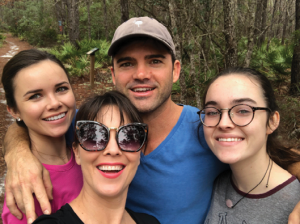 Hiking the trails is an activity that Jon and I love to do with our two daughters, Hannah and Lela. Picnic tables, covered pavilions, and a pet-friendly policy make the time in the woods a fun alternative to the beach. Additionally, there’s overnight camping available, as well as a greenway trail system that is still under development which will provide connections to Grayton Beach State Park, Deer Lake State Park, Topsail Hill State Preserve, Butler Elementary, and several residential developments. If you need a break from the sun, a trip to Grayton Beer Company is the perfect way to spend an afternoon or evening. Joined by local brewer, Shank, Grayton Beer Company started with two beers, an IPA and a Pale Ale – classic American craft beers. Their location was identified on US-98 between Rosemary Beach and Grayton Beach, and the dream of the brewery took another step forward. Here you can enjoy all 20+ unique beers that are on tap inside of their 30,000 square-foot production facility in Santa Rosa Beach. Not only is the taproom child friendly, but your pets are welcome as well. 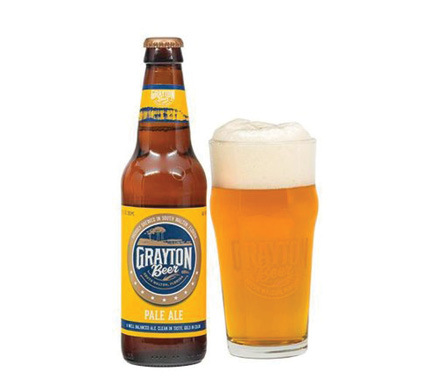 If you are looking to enjoy some of their local beers and unique foods be sure to visit the Grayton Beer Brewpub. The Brewpub offers a varied menu with options highlighting the freshest ingredients. In addition to 15+ beers on tap, they also offer craft cocktails and wine.